This is the adorable moment a screaming baby stops crying the minute he smells his mother's scent on her laundry. The baby's cunning father was the one who came up with idea. 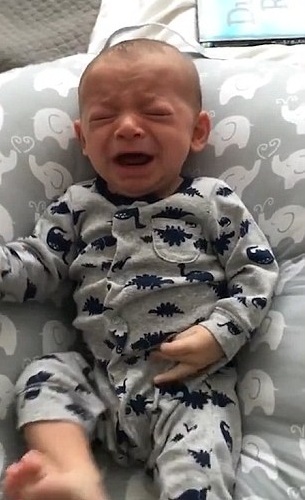 The footage, shot earlier this month in San Francisco, CA, USA, shows the three-month-old boy immediately calming down as he smells his mother's dirty shirt.